The Global Sustainable Cities Network (GSCN) is an initiative of the Clean Energy Ministerial, a high-level global forum to promote policies and programs that advance clean energy technology, to share lessons learned and best practices, and to encourage the transition to a global clean energy economy. The aim of the GSCN is to provide an open platform for groundbreaking sustainable city initiatives throughout the world to share knowledge that can be utilized and incorporated throughout the initiatives’ respective development life cycles. 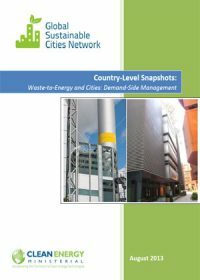 Participant countries have produced the following country-level snapshots to summarize their activities, challenges, and successes in the areas of waste-to-energy and demand-side management in cities. 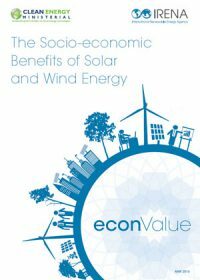 Including commercial-scale projects, pilot studies, pipeline inventories, national market size and investment estimates, R&D status, best practices and policy mechanisms as well as identified areas of greatest interest to their respective constituents.